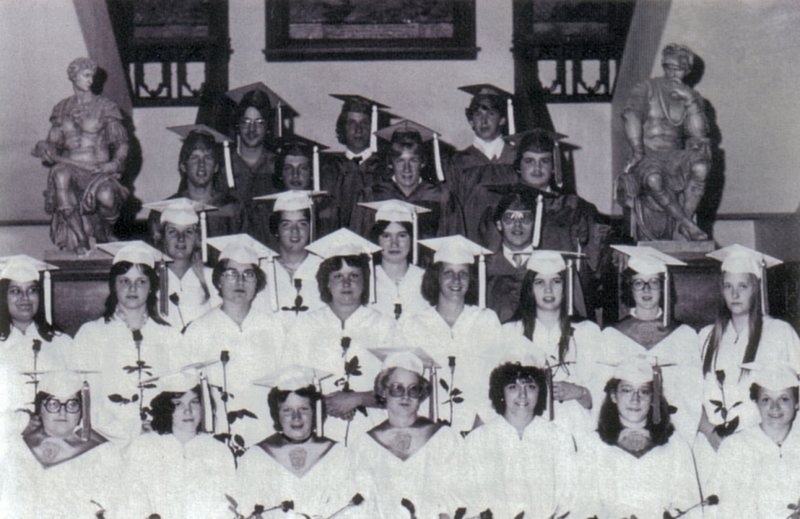 1st row: Susan Flanagan, Patti Powers, Tracey Tuttle, Tracy Colton, Mary Ellen Hale, Deborah Daniels, Roxeann Newton. 2nd row: Dale Flanagan, Tamie Exford, Tammy Clarke, Cheryl Langevin, Valerie Hatch, Brenda Hogle, Catherine Friot, Kimberly Allen. 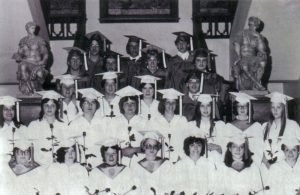 3rd row: Brenda Burns, Susan Henry, Barbara Coloton, Michael Farr. 4th row: Vincent Warren, James Munafo (Guest), Gregory Davis, Timothy Manning. 5th row: Jeffery Higham, Dennis LaPoint, Joseph Tressider.